The headline refers to the number of people I can identify in this mid-1940’s era photo. 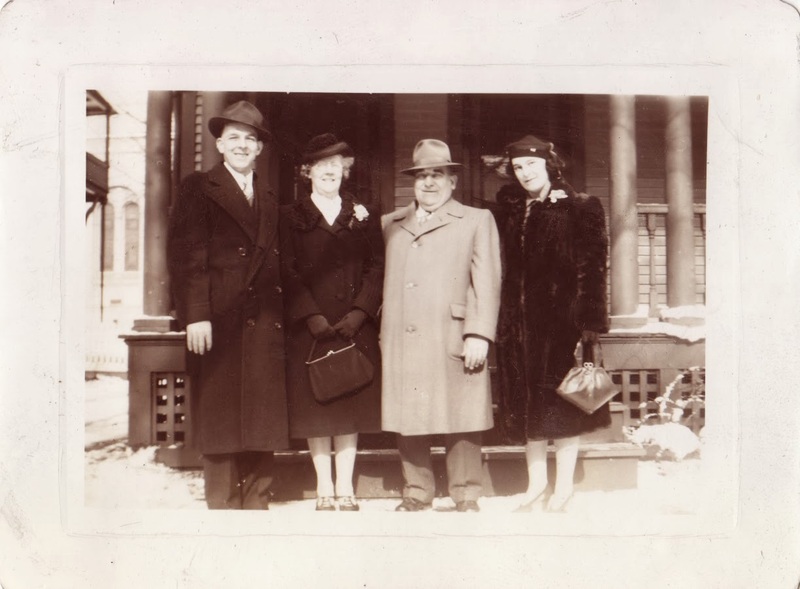 On the left is my great grand uncle James Pepperney (1906 – 1999). On the right is his sister, my great grandmother Margaret Pepperney Lowry (1902 – 1980). But who are the two people on the middle? Regardless, they all look dapper! Perhaps they are heading off to church or for some celebration. If you can help fill in the details, and I’m certain someone can, please leave a comment! Update (4/6/14): Jim and Jeanne Pepperney emailed me to say that the middle individuals are Mary (Ada) Swagner Pepperney and Bill Pepperney. These are James and Margaret’s aunt and uncle. Bill was my great great grandfather George’s brother.